During this time of year, if you are a pilot in the Northern Hemisphere there is a possibility that you will fly into freezing rain. 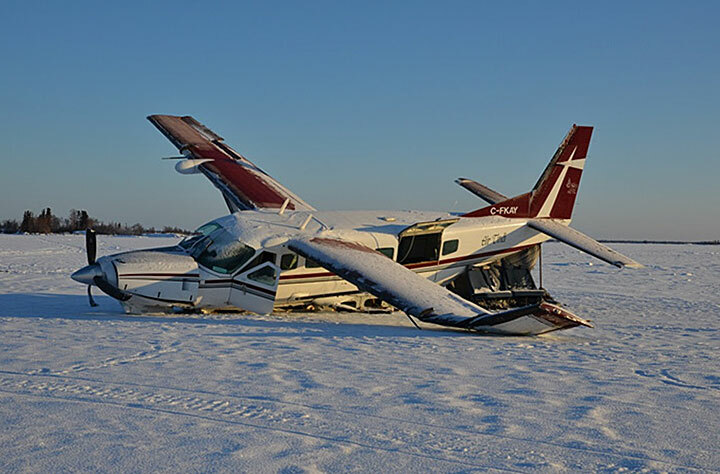 So we thought that now would be a good time for us Caravan Pilots to review procedures in the icing environment. Please remember that the procedures found below are for the Cessna Model 208B (675 SHP) and no others. If you are flying a different model Caravan, please review your aircraft's FAA approved Abbreviated Checklist or Airplane Flight Manual for that specific model. Power - INCREASE to takeoff power (not to exceed 805 degrees ITT or 101.6% Ng). 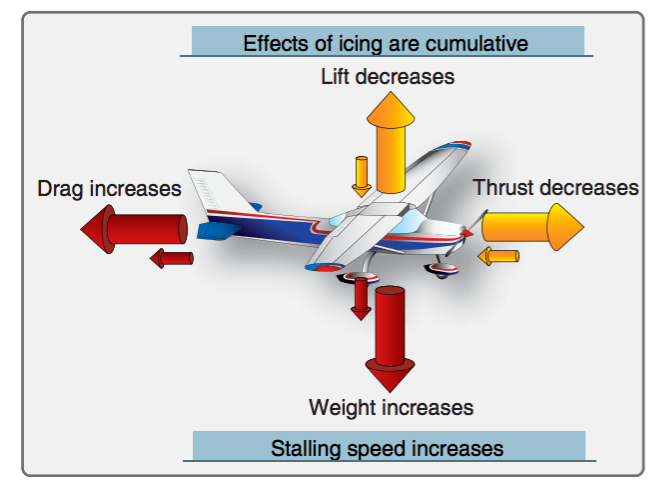 Airspeed - MAINTAIN 120 KIAS or greater (110 KIAS if climbing to exit icing). De-Ice boots - CYCLE to obtain best possible clearing. ATC - NOTIFY and request priority handling to exit condition. Approach - PLAN straight in approach if possible. Power - INCREASE to hold airspeed and glidepath (not to exceed 805 degrees ITT or 101.6% Ng). Airspeed - 120 KIAS (or greater). 2. If 120 KIAS can not be maintained or other airfield constraints dictate use of other flaps or speeds, the following speeds can be used at the discretion of the pilot. Fellow Caravan Pilots, please remember to Review Often and Fly Safe so that you can continue to Love What You Do!